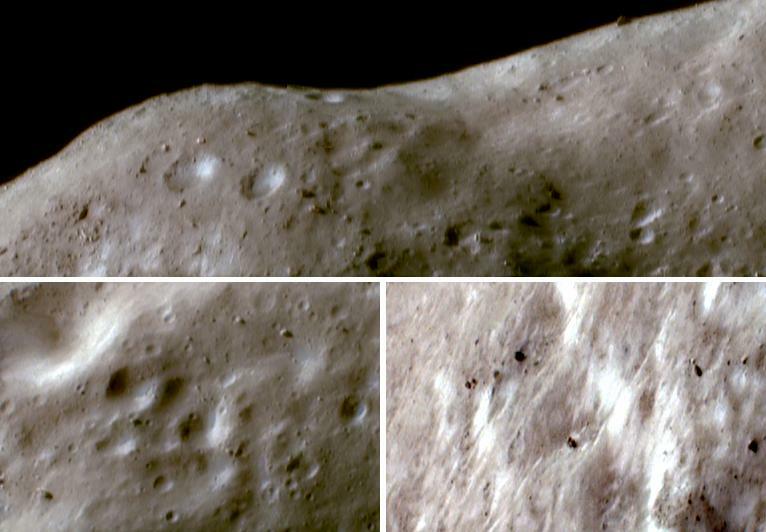 NEAR Shoemaker took these images of Eros on October 16, 2000, while orbiting 54 kilometers (34 miles) above the asteroid. They are shown in false color, constructed from images taken in green light and two different wavelengths of infrared light. 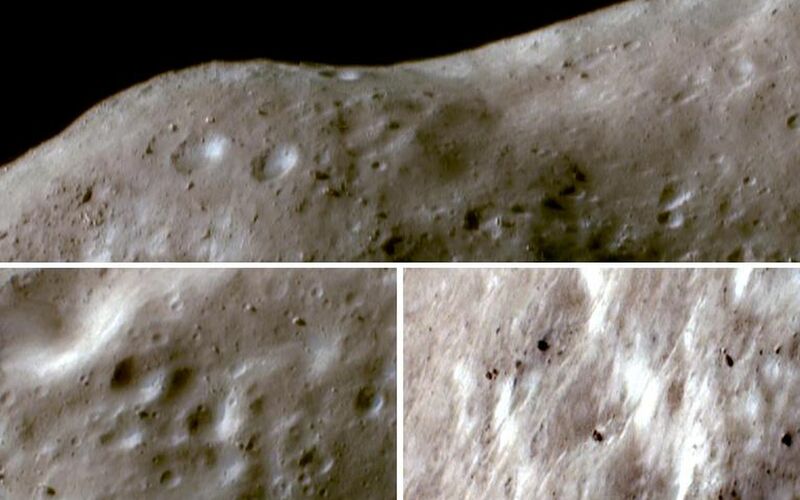 Surface materials that have been darkened and reddened by the solar wind and micrometeorite impacts appear as pale brown, whereas fresher materials exposed from the subsurface on steep slopes appear in bright whites or blues. 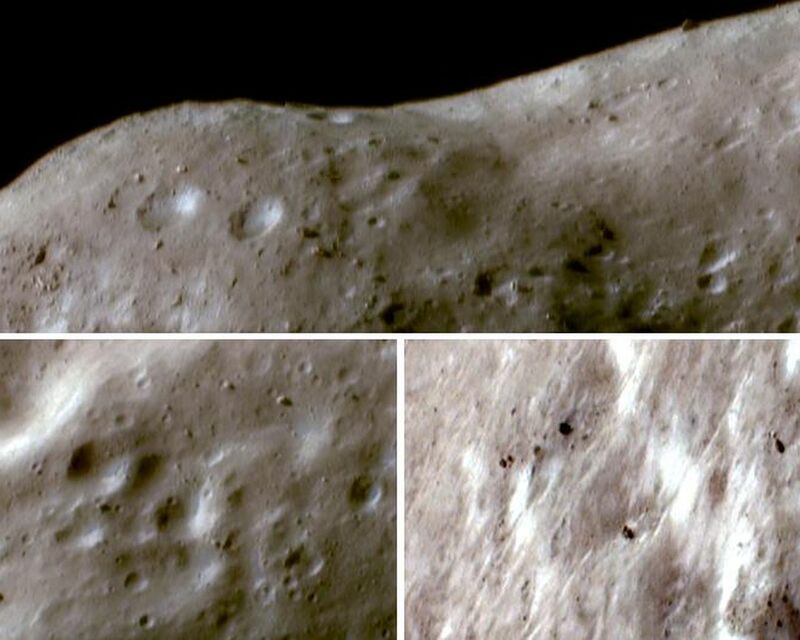 Compared with Gaspra and Ida, similar asteroids imaged in color from the Galileo spacecraft, Eros exhibits large brightness variations but only subtle color variations. The top panorama shows the rounded rim of the saddle-shaped feature Himeros. The fresh, bright materials appear in localized patches set on a background of older fragmental debris, or regolith. 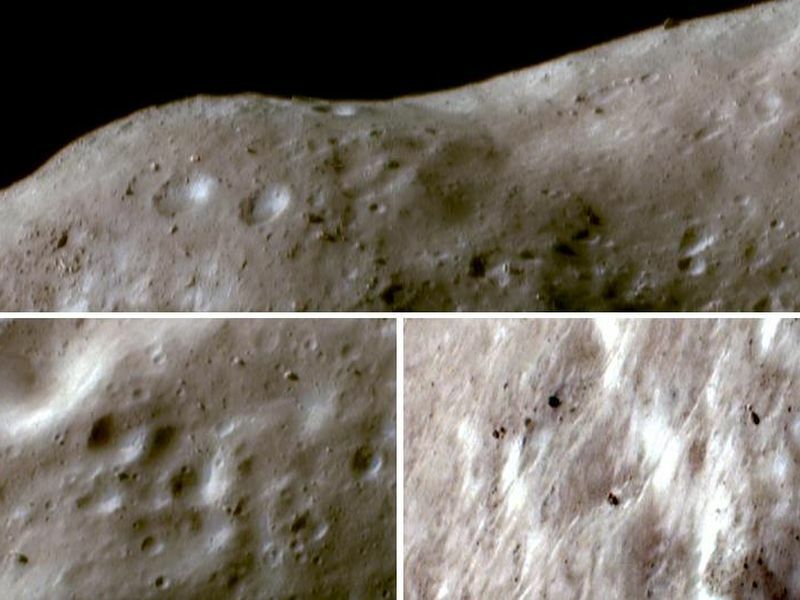 In most regions of Eros, such as in the panorama and the view at lower left, the bright patches are strongly concentrated on the inner walls craters. However, on the inner wall of Himeros (lower right), steep slopes are extensive and the bright material appears as pervasive, scattered patches.